Lady Bug Eco-Friendly Pest Control provides an environmentally responsible pest control program that controls common pests such as ants, spiders, roaches, crickets and scorpions. With a thorough exterior service, you get safer, more effective control. We recommend a regular frequency of service on the exterior to provide optimal control, since the materials break down when exposed to the elements like water, sun and wind. Once the interior has been serviced, we need to only do inside on an as needed basis. When you have a monthly service with Lady Bug, we offer a free call back guarantee, so if you have any pest problems in between visits, you can call us and we will come back at no additional charge. We also offer other services such as Scorpion Home Seals, Bee and Wasp Control, and Rodent Control. Sealing pests out by reducing harborages and access into your home is a very ECO FRIENDLY and effective way to control pests, particularly scorpions. It significantly reduces the amount of pests that can gain entry. When you seal your home in conjunction with a Lady Bug Pest Control Service you can reduce almost all of your pest activity. 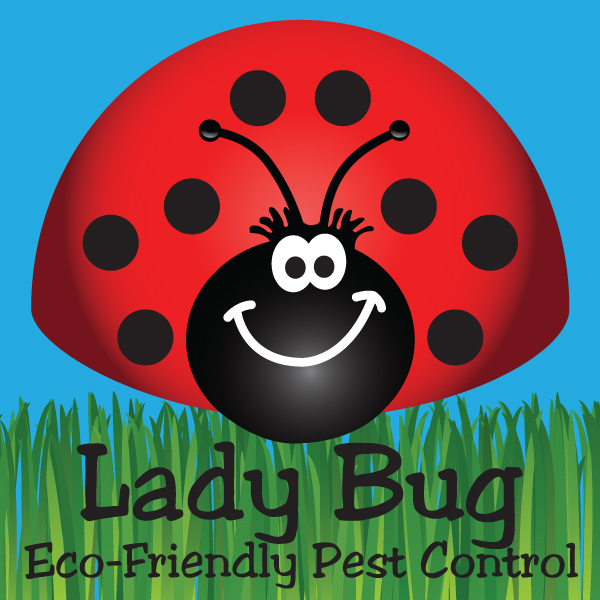 Lady Bug Eco-Friendly Pest Control offers Bed Bug Eco-Heat Treatments. We safely raise the temperature of an affected area to a level no pest can survive. Our Eco-Heat Treatment eradicates the entire bed bug population in a single treatment.